Is it just me or is everybody having babies these days! 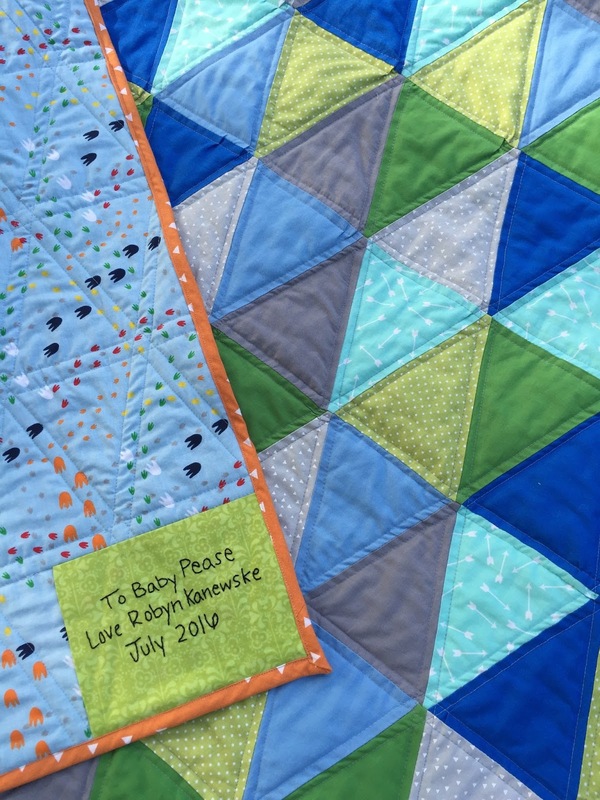 Since all of these babies are so special to me I have been wanting to make quilts for them! Also what better way to practice my quilting skills then to make baby quilts. 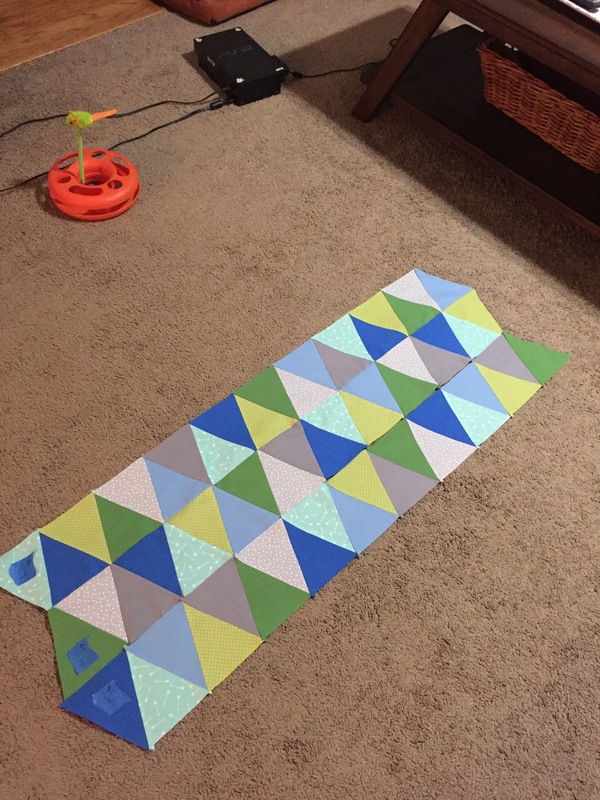 First you can use super fun colors and patterns. Second, they are small! Since I am still new to quilting, smaller quilts = less time and I like the sound of that! 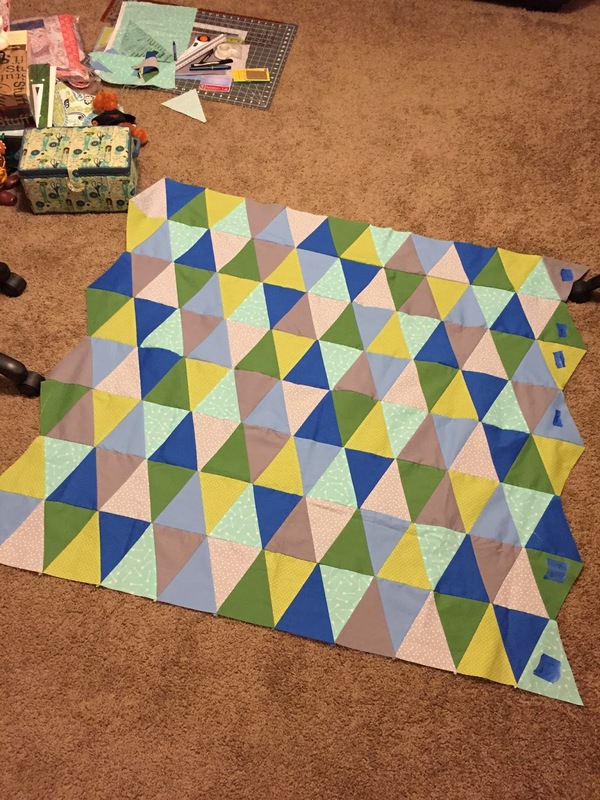 For this friend of mine I decided to try my hand at a triangle quilt! 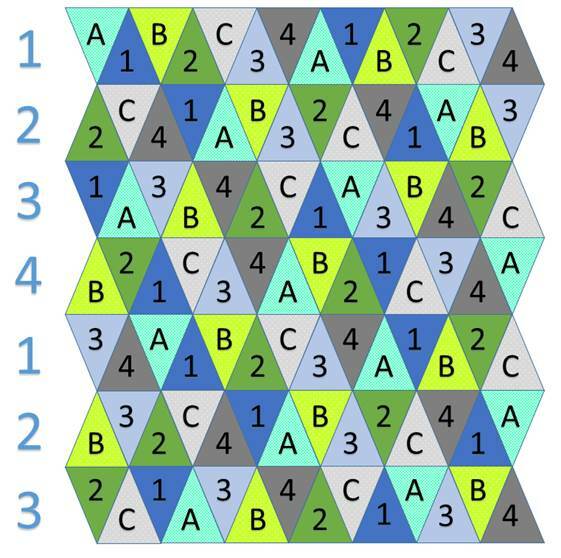 The quilts look super modern, and if you use the correct "pattern" they can look like it was just a random pattern. I started with designing my quilt in power point and labeling my pieces. 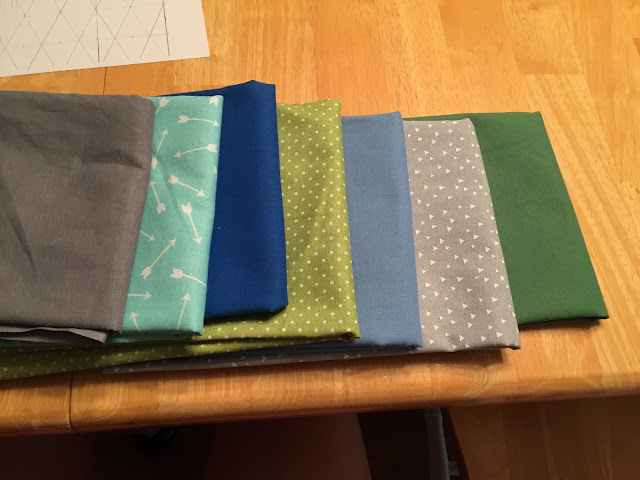 Picking out the fabric was fun! I wanted some bold colors for this quilt. So I went with grey, blues and greens. 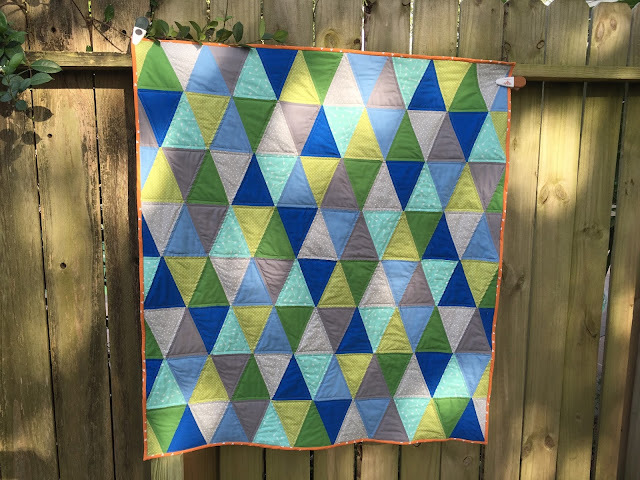 I choose orange for the binding. 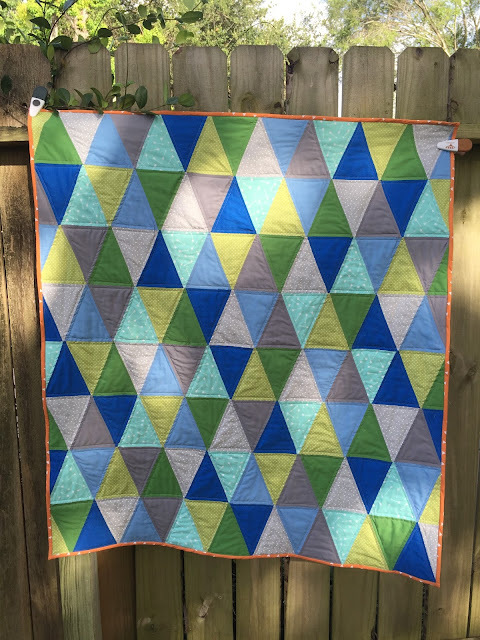 (Going back to my color wheel days, the quilt had more blues so I wanted to use the contrasting color for some more pop!) For the backing I wanted the quilt to be a little more baby-ish so I went with some dinosaur print fabric. Next was time for cutting. 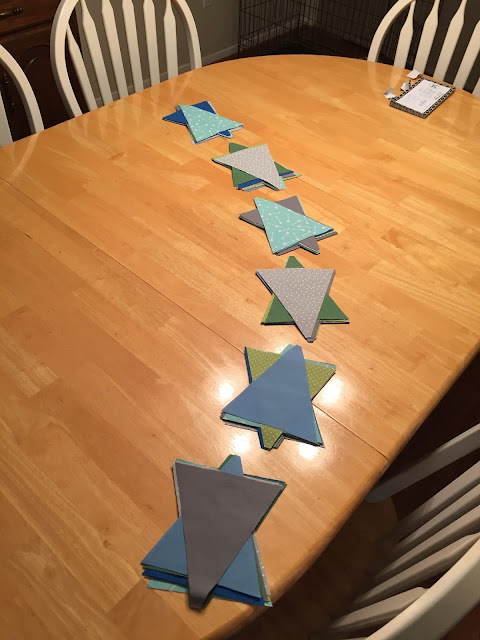 I bought a handy triangle ruler from amazon and cut away. 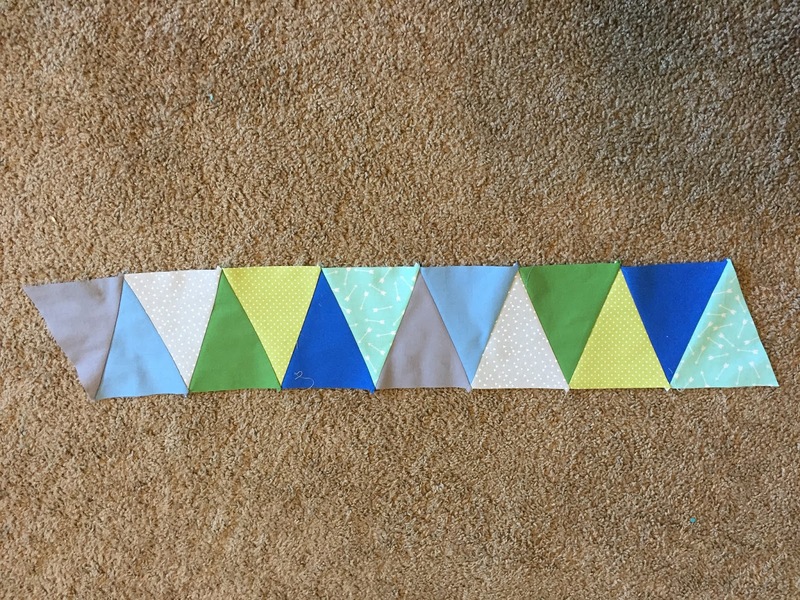 I stacked everything and started sewing. I followed this how to from "See Kate Sew". It was pretty simple to follow and gave me good results. 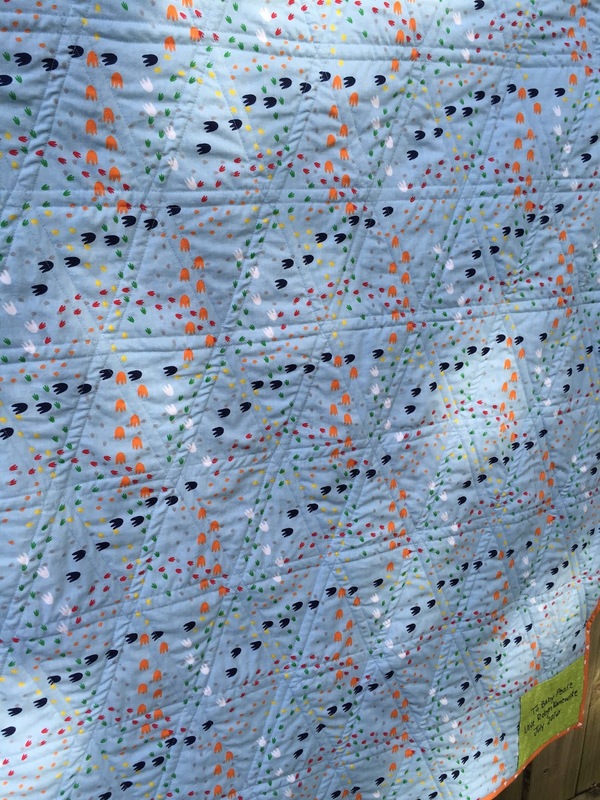 Ultimately the quilt came out better than expected and I cant wait to see a cute little baby boy all bundled up in it.